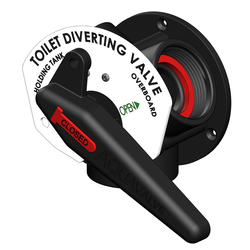 If your Aquavalve has not had the handle turned for over 12 months the chances are that the valve can become tight to turn or even jammed in the case of very high salt / calcium build up. Tools required: Philips screw driver, felt pen, rubber gloves, bucket & towels. Step 1: Mark the top face of the printed plate with a felt pen so it goes back on the same way as this plate has reverse printing on the other side. Step 2: Unscrew the two screws on the printed plate and remove this plate. Step 3: Unscrew the three screws on the face plate but before trying to remove the rotor have a bucket or old towels close to stop any liquid that may be in the pipes. Step 4: Grab hold of the handle and turn and pull the handle, with the attached rotor and seals, out of the body. Step 5: With the rotor and seal removed clean out the body where the seal fits by simply scraping with the back of a hacksaw blade . Step 6: Take the curved seal off the rotor pad and clean it in hot water (use of rubber gloves advised). Step 7: Fit the cleaned seal back on the rotor pad then assemble this on the rotor. Step 8: Grease the curved seal with silicone grease and the O-ring in the body and assemble the rotor into the body by turning while pushing the rotor in place. Line up the felt pen marks on the printed plate and screw in the 3 screws - do not over tighten! Step 9: Fit the printed plate back on in its original position with pen mark and screw in the 2 screws. The Aquavalve should now turn freely and providing it is turned every month or two will work fine for over 12 months. We suggest yearly servicing and in the case of a damaged seal there is a seal kit (part number 90316) available.